“A national survey of nearly 700 U.S. K-8 teachers conducted by the Joan Ganz Cooney Center and the Games and Learning Publishing Council reveals that almost three-quarters of K-8 teachers are using digital games for instruction. 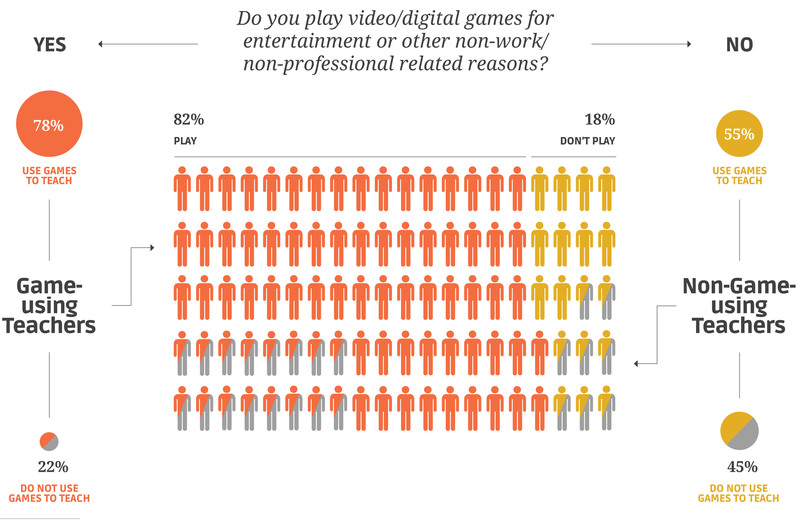 Four out of five of those teachers report that their students play games at school at least once a month. 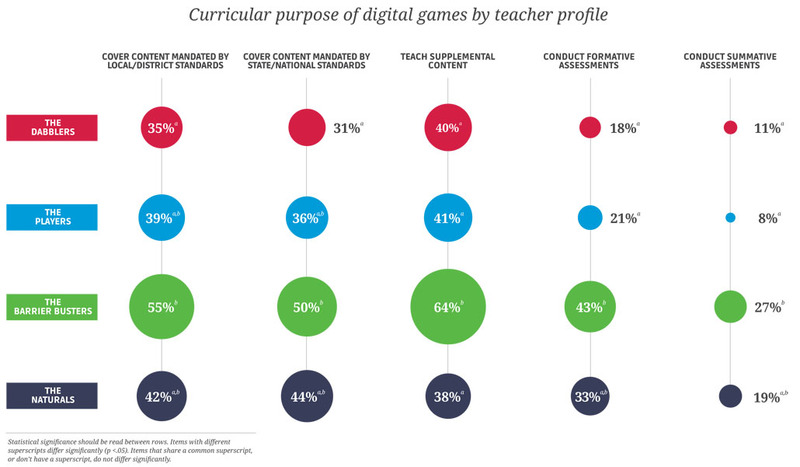 Two fundamental findings should capture the attention of all educators, developers, funders, and policymakers: a majority of teachers are using digital games in their classrooms, and games are increasingly played on mobile devices that travel with their students. areas. However, the study also reveals that only 42% of teachers say that games have improved students’ science learning (compared to 71% in math), despite research suggesting that games are well suited for teaching complex scientific concepts. areas.”However, the study also reveals that only 42% of teachers say that games have improved students’ science learning (compared to 71% in math), despite research suggesting that games are well suited for teaching complex scientific concepts.